My attitude toward cooking for a group is divided. On the one hand, there’s no greater feeling than that which is achieved by feeding someone. I’m a firm believer that food is love, so sharing a meal – a meal I created, no less – with a group of friends, is the ideal way for me to express that affection. The feeling of accomplishment associated with sitting down to a damn good meal you made yourself is escalated tenfold when you’re surrounded by smiling faces. And if your friends ask for seconds? Now you’ve really made it. On the other hand, the stress associated with preparing enough food to feed a crowd is the most explicit expression of pressure I can imagine. If there’s not enough, if it’s ready too early, if it tastes just down right awful – the list of self deprecating circumstances goes on. You’ve been tasked with the job of nourishing a small army. If you screw this one up, they’ll perish in battle. Or worse, they won’t come back for another dinner party. Such was my conundrum when it became my turn to cook dinner for my new roommates. I waffled between stews and pastas, stir fries and curries, finally landing, rather emphatically, on Minestrone Soup. I’d never made the stuff before, but it was a little cold outside and my throat had a slight tickle that could only be assuaged by the likes of hot, garlicky broth. After some basic research, a survey of the week’s CSA haul*, and a rather comprehensive discussion with my aunt about the benefits of Parmesan rind used in soup making, I took to the kitchen. This is the recipe I came up with and I think I speak for all my roommates when I say that it was as good as it gets. With so many ingredients, it’s tough to find a bite of this soup that doesn’t offer something new. Each vegetable has a different texture and tenderness, but the earthy rosemary and silky garlic flavors weave throughout every spoonful. 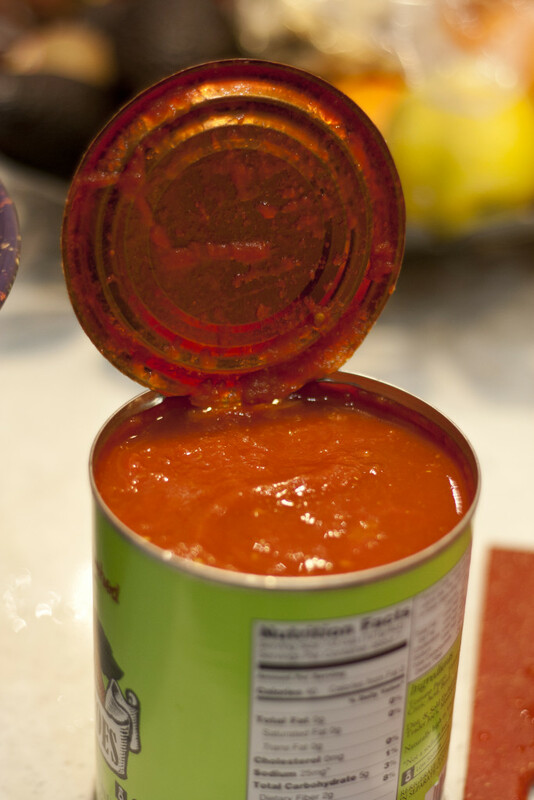 The broth is just thin enough to qualify as soup, yet thick enough to hold everything together. If you’re thrown off by the long and specific list of ingredients, fear not! 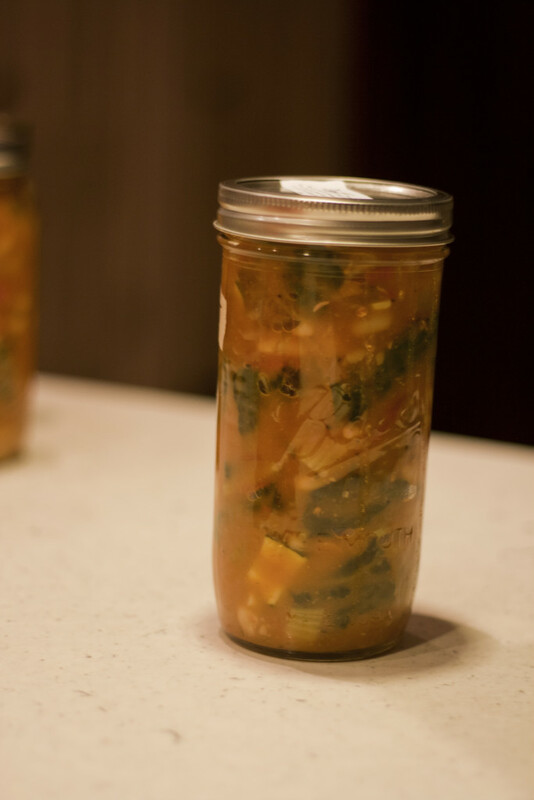 All you really need to make good minestrone is rosemary, Parmesan rind, crushed tomatoes, soffrito, and beans. The rest is pretty much up for negotiation, though I will say that this combo of veggies has great texture variety. I particularly like the last minute addition of kale, since it stands to add a little crunch to each bite. You can also replace the macaroni with barley, or keep things carb free altogether. Point is, this is a hearty soup that’s easy to make for a crowd and sure to please. Make it a day ahead of time or night of and divide any leftovers into mason jars for future lunches. I ate this soup every day for a week and I still can’t wait to make it and eat it again. Enjoy with a crusty baguette and good company. Expect requests for seconds. *CSA stands for Community Supported Agriculture and is basically like a co-op for a farm. You pay a weekly, monthly, or seasonal fee to essentially own a portion of a farm’s harvest. We use Full Circle, which isn’t a CSA, per se, but sources organic produce from local farms for weekly deliveries. I highly recommend it! In a large, heavy-bottomed skillet, heat broth and water. Once warm, add Parmesan rind, bay leaves, and rosemary. Once broth is simmering, add potatoes and parsnips. Bring a pot of salted water to a boil. Cook macaroni according to instructions and set aside, once al dente. Heat a couple tablespoons olive oil in a large skillet. Add onion, celery, and carrots and cook until onions become just barely translucent (about five minutes). This is called soffrito in Italian cooking! Add soffrito, diced tomatoes, and garlic to broth. According to taste, season with salt, pepper, oregano, and garlic powder. Let simmer for 20 minutes, tasting occasionally for seasoning preferences. Add beans, zucchini, parsley, and kale to the soup. Stir to combine. Soup is ready once kale is wilted. Discard Parmesan rind, rosemary stems, and bay leaves. Optional: Use a microplane zester to mince garlic in a small ramekin. Finely chop extra rosemary. Mix the two together and serve as a garnish. Either mix in macaroni or serve alongside the soup.